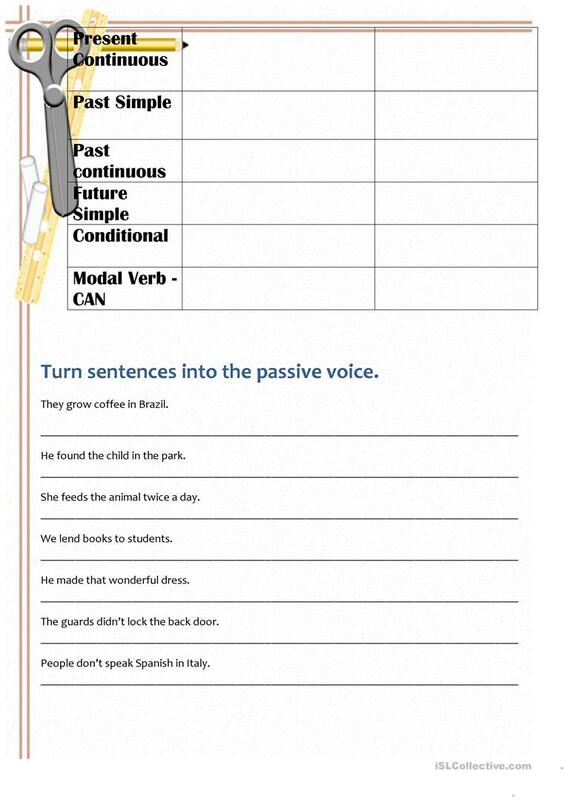 Students must complete two charts with a sentence that must be written in different tenses in the active and passive forms. Then they must transform active sentences into passive. The above downloadable teaching material is a great resource for business/professional students, high school students and adults at Intermediate (B1) level. 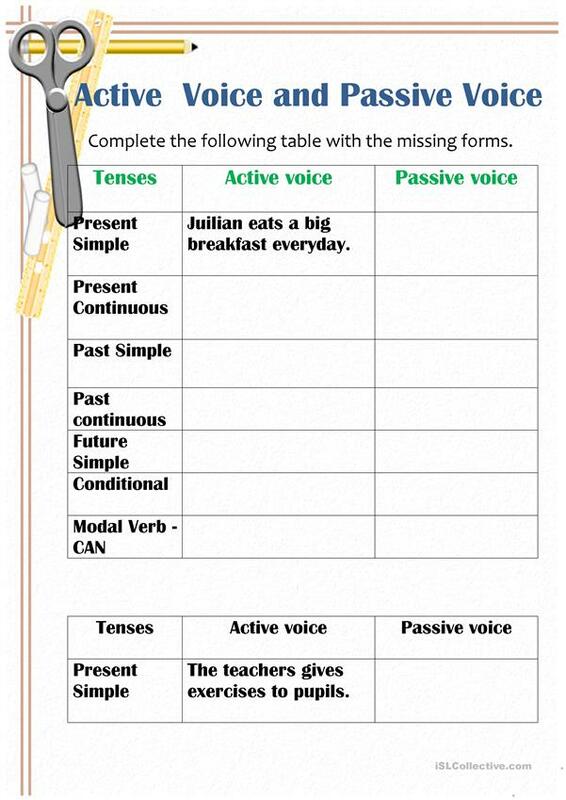 It is a useful material for consolidating Passive voice or active voice in English, and can be used for enhancing your class' Writing skills. Marycris is from/lives in Portugal and has been a member of iSLCollective since 2012-01-09 15:10:14. Marycris last logged in on 2018-05-17 19:25:34, and has shared 6 resources on iSLCollective so far.